“Money Can’t Buy You Love”. And so goes the Beatles song from 1964. Now I doubt the Fab Five were referring to advertising, but that little ditty couldn’t be truer today about advertising. As I discussed at 2015’s Gen Blue Experience at Avery Fisher Hall, the collapse of mass media has had a profound affect on today’s brands and consumers. Many of us have watched the popular AMC series Mad Men. The Madison Ave “creatives,” fueled by Gin, coming up with a slick slogan or taglines that could reach millions of consumers on prime time TV (ah, the good ‘ol days of three network stations). That approach carried the advertising world through the early years of the 21st Century. While TV, print and a handful other channels were the focus of the past, today we are charged with delivering “the right message, to the right person, at the right time” on cable channels, Netflix, Hulu, YouTube, Social Media, Amazon, Google, Banner Ads and much more.As we enter second quarter of 2014 it is evident that media disruption and fragmentation has and will continue to challenge both marketing and advertising executives to think, strategize and execute at a higher, more demanding way than ever before. And if that’s not in itself enough to learn, marketers must also create an (often) entirely separate strategy tailored for generational influencers. In large part, the Millennial Gen (Generation Y) is driving much of this as the first real digital natives. With advances in technology, the Internet, and mobility, the Millennials have had instant access to better and more information like no other generation before them. This has driven an intuitive ability to detect when brands are fake, not truthful, or inauthentic. In fact it has been said that Millennials hate advertising, and will ignore branded marketing communication. So what’s a brand to do? How do you “say it without saying it” when marketing, while building a “personal” relationship with the masses? In addition to understanding the complicated media landscape, brands must present a genuine message or risk being called out. Yes, called out! When brands or individuals have a conversation today with a consumer or an employee, they are actually having a conversation with thousands of people at the same time. They will question everything. And even when you think they understand, they will seek opinions of complete strangers. They seek authenticity. If it’s fake they will ignore you or even worse bury you. They’re impatient. While you are still explaining, they’ve moved on. And they are NOT your built in tech-support so figure it out yourself. They are frugal, are debt adverse, but for the right brand they’ll pay top dollar. “I can change the world.” This is their motto, really. Whether you’re a global brand or a local proprietor, life is getting harder. There’s a very influential wave of customers coming. A wave of important customers who are going to challenge your very existence. Why should they buy from you? And you better have a strong, sustainable…believable, answer to that question. And every employee or associate in your organization must be able to hold up that promise daily. These are your future employees, future entrepreneurs and world leaders. So you better get comfortable in your own skin, get comfortable with the fact that they want to have a “participatory relationship” with you and your brand. One that requires trust demonstrated on a consistent basis. Listen. Yep, how’s that for simplicity. Specifically, listen to what millennial folks are saying about your brand, as well as your competitors (very important! ), online. If you want the real skinny, then nothing beats a third party website, social network, or blog to tell it like it is. There are some really nice (and free) tools to accomplish not only listening, but when appropriate, engaging customers in conversation. One of my favorites is Hootsuite, which allow users to set up multiple social media accounts in a dashboard view. Another simple, oldie but goodie, is Google Alerts. Yep, it’s been around for years and still works. And while it lacks any type of engagement function, it has the scale of Google! Focus. Pick one, maybe two, Social Media platforms to focus your Brand communications. I know, you’ve been told to be on all of them, its part of your content strategy. Time to face reality, you and your brand can only be good at a few things. Determine what they are, and pick the best platform to listen and engage consumers (notice I didn’t saysell). YouTube is the largest video-sharing website, and recently past cable TV in aggregated video views. Video = TV. In addition to being an amazing video platform, YouTube has strong SEO value and mobile platform support. There is no better way to tell your brand story! Facebook, by way of size, is a good default. It allows reach, and engagement if you listen. But it doesn’t mean throw all your listings on Facebook, and sell! Google+ has an amazing layout, wonderful SEO value, and great Brands. Twitter is a really good listening platform, a great news site, and strong information network. What about Instagam you ask? It’s a great millennial playground for brands, and doesn’t have cultural limitations because there are no language limitations. Strategy, strategy, strategy. Social is 24/7 activity, it is not a part-time activity or one-time stunt. A plan of what to post on Facebook, pin on Pinterest, Tweet on Twitter or upload to YouTube does not make a social strategy. A good strategy outlines the direction that your brand should take and why it should take it. 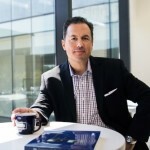 Based in New Jersey, Sean Blankenship is the Chief Marketing Officer at Coldwell Banker Real Estate, where he is responsible for national branding and marketing operations. Previously, Sean was Director – Digital Marketing at Gulf States Toyota, Group Account Director at iCrossing and the Chief Marketing Manager for the Altima and Maxima platforms at Nissan North America. Follow Mr. Blankenship on Twitter. Previous So You Wanna Be The Boss?